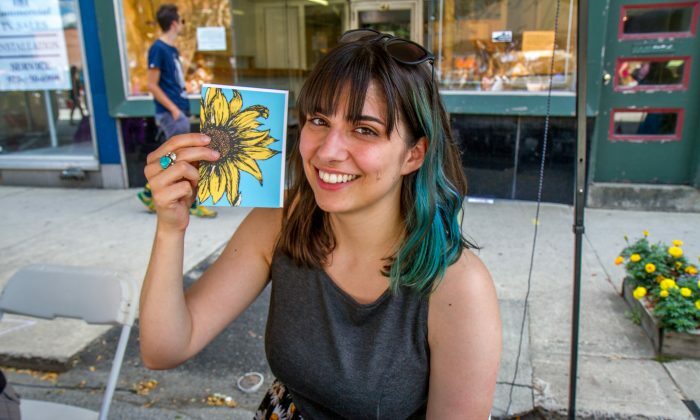 PORT JERVIS—The 18th Annual Arts Walk in Port Jervis on Aug. 7 closed streets and brought together local artists, musicians, and crafters who put their work on display for the local community. Musicians like the Broome Street Wind Ensemble played flutes, a clarinet, and a bassoon in the center of numerous booths in the downtown. Showcased at the fair was everything from rare antiques, to meticulously crafted guitars cut from mahogany, and colorful furry animal marionettes. The festival brought out younger up-and-coming artists, as well as more established ones.